On this episode of BlockChannel, McKie and Dr. Petty get to talk to speak to a member of the original Handshake team, Hans Schoenburg. Hans is currently the one managing and building the Handshake faucet that will distribute HNS coins to the open source developers that applied on the platform; he also helped manage and research some of the important topics that pertain to the launch of Handshake’s mainnet. 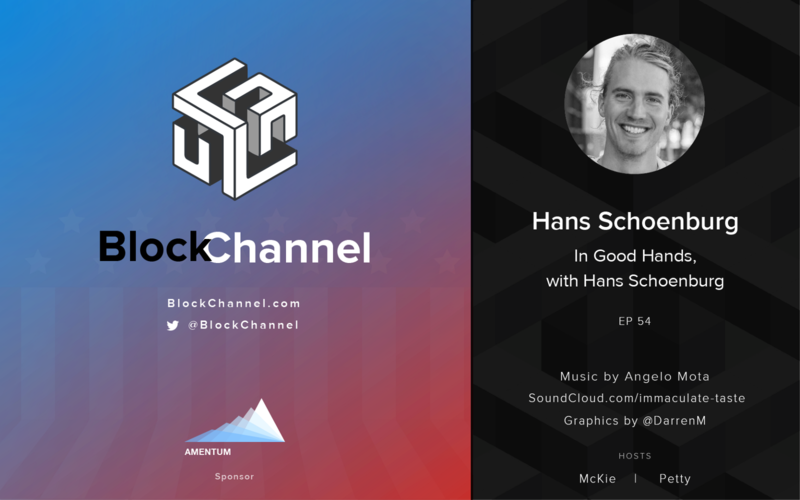 We talk about some of the challenges Handshake dealt with, what he learned along the way, the vision for Handshake going forward, and much more. If you’ve been following the story of Handshake, this is a chapter you don’t want to skip! Disclaimer: This is not investment advice, it is an engaged discussion on new technology; BlockChannel reminds you to always do your own due diligence before investing in any crypto-related project in the industry.